After a long day at your office or hospital, the last task you want to tackle is cleaning all of those pesky stains like vomit, iodine, or blood off of your medical uniforms. As the scrub uniforms experts, let us help! 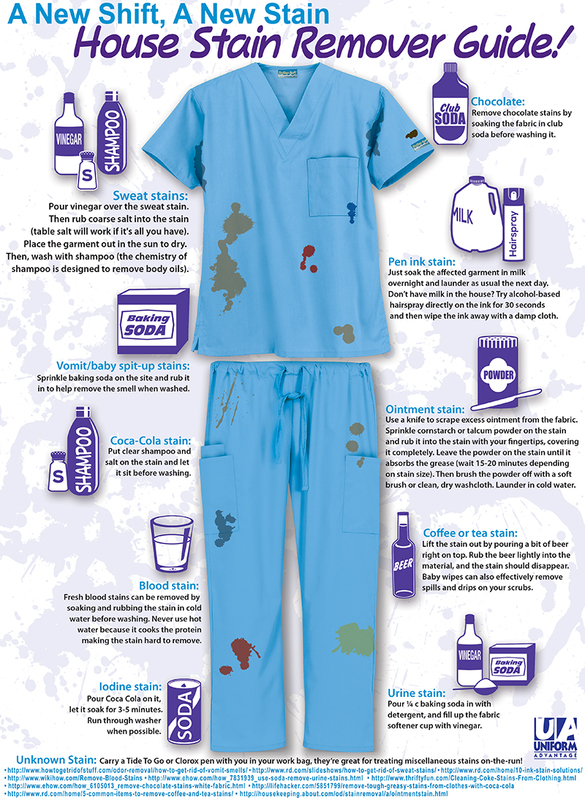 We’ve compiled this handy guide to help you combat common stains that you encounter working in the medical field. Our stain fighters are all natural, common household items that you hopefully have around your house and maybe even you workplace for quicker stain treatment! Happy scrubbing!